Anthony Lawrence CAREY (born October 16, 1953, Watsonville, California) is an American-born, European-based musician, composer, producer, and singer/songwriter who was originally in the band Blessings. He rose to fame when he was hired by Ritchie Blackmore to join Rainbow and during his time with the band he played on ?Rising? and ?On Stage?. 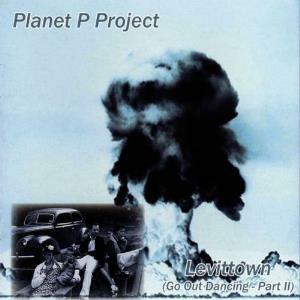 Since leaving, he has released albums both under his own name and as Planet P (Project). 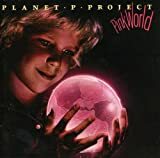 The debut album, when the band was known just as PLANET P, was released in 1983, while the slightly renamed PLANET P PROJECT released ?Pink World? in 1984. On this Tony sang the lead vocals, and played most of the instruments while session musicians provided the rest. 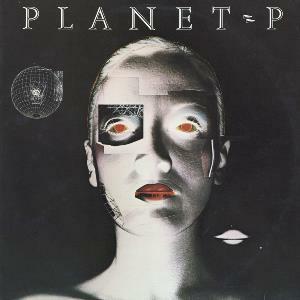 When the debut album was later reissued on CD, the band was then also referred to AS PLANET P PROJECT. 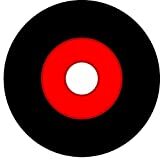 Tony then turned to solo, film, production and live work before returning to PLANET P PROJECT in 2003 when he released the first of a trilogy of albums collectively known as ?GO OUT DANCING?. 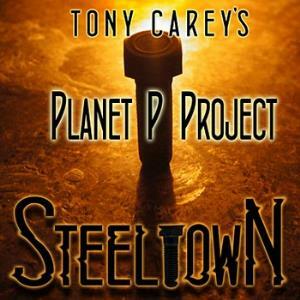 Following the release of the last of these in 2009 he officially ended the project, only to return to it in 2013 as TONY CAREY?S PLANET P PROJECT. Tony Carey was California born and best known for his stint as the first keyboard player for Ritchie Blackmore's Rainbow in the late 70s having appeared on the second album "Rising" as well as many live recordings that followed ("On Stage," "Live In Germany" etc ). Although he only joined Ritchie for a short time, it was enough to get him noticed and after he parted ways he moved from the US and relocated in Germany to concentrate on a solo career as well as get the full spectrum experience effect of learning how to produce albums which led him to co-ownership of his own studio with German producer Peter Hauke. 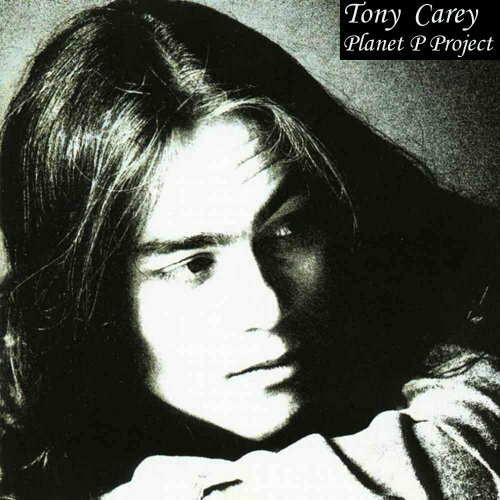 During these years Carey was quite prolific and wrote many tracks that didn't fit in with the style of his solo albums therefore he and Hauke created a second project called PLANET P that would add on the PROJECT moniker later and become PLANET P PROJECT. The new group was decidedly science-fiction themed that was based in Pink Floydian space rock and the band which consisted mostly of session musicians would last two albums before scrapping the PROJECT in favor of Carey's more successful solo career as he scored two hits off of his album "Some Tough City." 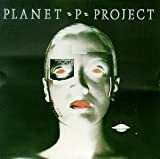 The debut album simply titled PLANET P came out in 1983 after Carey scored a record deal with Geffen and so the Carey / Hauke team created a mix of various styles and found a minor hit with "Why Me?" on a fledgling MTV that combined a bouncy Police influenced reggae rock syncopation with synth-laden rock and catchy new wave pop hooks augmented by a heavy guitar backing. The video enjoyed heavy rotation and got the band noticed fairly quickly and they followed up with the more laid back almost downtempo single "Static. While "Why Me?," a single that took a David Bowie "Space Oddity" stance about isolation in outer space was more of a rocker, the album itself is more of a chilled out experience with all of side one existing somewhere between downtempo, AOR and catchy pop rock. The second side takes a more energized approach and mixes Floydian space rock with Human League styled synthpop as well as hints of melodic touches from various 70s acts like Rod Stewart, Supertramp and probably most genetically related in style to 80s Alan Parsons Project. The bonus track "Ruby" appeared on CDs and cassettes only. While the band has ties with progressive rock most notably the Pink Floyd type of space rock compositions with the Gilmour / Waters guitar workouts, the music for the most part is cleverly constructed pop with heavy use of synthesizers that utilize catchy counterpoints for the maximum earworm effect, however some of the riffs do have slightly proggy elements which pop up interspersed throughout the mix. 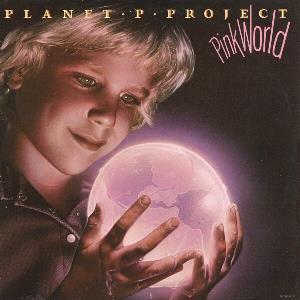 The album garnered enough support for the record company to release a second more ambitious album called "Pink World," but relations soon broke down after Geffen's dissatisfaction with the sophomore album and Carey's decision to pursue his solo career left PLANET P PROJECT a scrapped one until he revived it 21 years later. While i wish there were more heavy tracks like "Why Me?" which is by far the best track on the album, i have to admit that this one grew on me after i allowed the chilled out majority of the album to sink in. While the sci-fi themed storyline is laughable, the neatly crafted pop hooks are irresistible and Carey's vocal performances are quite pleasant. This is somewhat of a lost 80s artifact but one that shouldn't be buried in the time capsule for all eternity. A forgotten little gem of the 80s! By all the reviews here on PA, it would seem so and thought it deserved a little love. Somewhat surprising as this is quite a delightful album. I must admit that until a few weeks ago, I had forgotten it. Picked this up in a second hand music store, along with some Marillion albums (first time listens for me, which is another story). 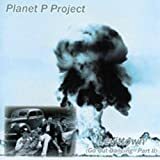 I used to have this Planet P Project "cassette" back in those 80s and wore it out cruising up and down the I-95 corridor on the east coast of the US. It definitely has the sound of 80s and even had a video or two on MTV, when they actually used to focus on music. A little history of the main man of the project, Tony Carey, he was the early keyboardist for Blackmore's Rainbow in the Dio days. On this basically solo effort with many accomplished musicians, he developed a dreamy, spacey, prog/pop sound that has heavy influences from Pink Floyd and The Alan Parsons Project. But, it also has a few elements that remind me of Gary Wright and Kraftwerk. This album has somewhat of a dark, end of days theme to it, but it is done tastefully, with a number of hooks to pull you in and is quite enjoyable. It is laden with a good mix of keyboards and guitar. Tony is the main vocalist and is very pleasant and dreamy that fits perfectly with this sound. The album starts with the track "Static" which has the end of days theme of a nuclear age which bounces between a dreamy and heavy sound. It got some FM airplay back then. Next is "King for a Day", sort of a shot at society with a very Alan Parsons sound to it. "I Won't Wake Up" is next, it is very 80s in sound and reminds me of something Thomas Dolby would do. A poppy synth effect throughout, but catchy. Followed by "Top of the World", this is another catchy, very dreamy song with good vocal harmonies. Perhaps my favorite track is next, "Armageddon". The title says it all, but the melody is beautiful and gets a little powerful at the chorus with great guitar leads (very Floyd sounding). As with a lot of songs on the album, it alternates between spacey and heavy. "Tranquility Base" is next on the CD I have and is not listed in the track list here in PA. It is a short, lonely piano and vocal harmony, nice. "Why Me" was one the hits off of the album and has a strong, soaring keyboard and a Gilmore sounding guitar rhythm to it. An astronaut based lyrics make it interesting. "Power Tools" is a somewhat a humorous, catchy tune about what else, power tools. In space, power tools are your friends. What makes them work, what makes them go?. 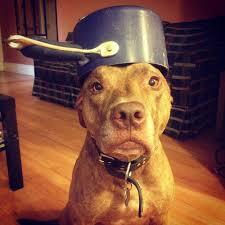 Another Alan Parsons sound to this one. "Send it in a Letter" is a very soulful, dreamy song. Sort of has a Gary Wright feel to it, lots of synths. "Adam and Eve", back to the end of days and starting over again. 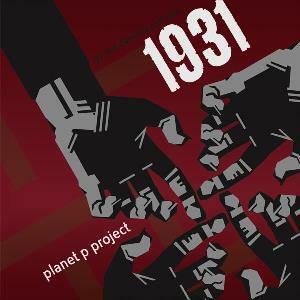 Mix of Parsons, Wright, and maybe Kraftwerk sound on this one. "Only You and Me" follow this and has sort of the same theme and sound but with more vocal harmonies. "Ruby" is a another very dreamy, sad song that the album ends on. The album seems to have a concept feel to it. Full of synths and harmonies and has made me smile at how much I used to listen and enjoy this. Yes, it is to me one of those guilty pleasure albums, but I feel it is a worthy addition to any prog or prog related collection, especially an 80s collection. 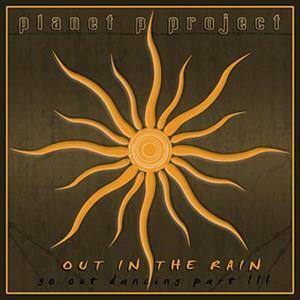 Having heard this album again makes me want to check out some of the other Planet P Project albums. 4 Stars in the Crossover arena! Thanks to kev rowland for the artist addition.